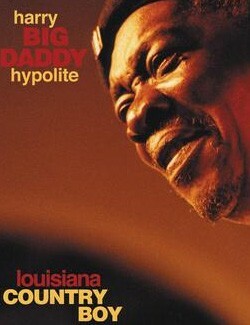 Louisiana Country Boy, the debut album by Harry "Big Daddy" Hypolite, is one of Kassem’s latest releases. It’s also one of his best. Hypolite, born in St. Martinsville, Louisiana in 1937, is a born-and-bred bluesman. He’s lived the music he writes and sings about. Hypolite wrote six of the twelve songs here, with four of the others being covers of his mentor (boss, friend, and bandleader), Zydeco king, Clifton Chenier, with whom Hypolite played until Chenier’s death. Backed by blues guitarist extraordinaire Jimmy D. Lane (son of the famous bluesman Jimmy Rogers), bassist Loui Villeri, drummer Bruce Cahoon, and organist Big John Amaro, Hypolite (on acoustic and electric guitars) dips deeply into his bag o' tricks and records a session that wouldn’t be out of place in any juke joint between here and the Gulf. Recorded live-to-two-track by engineer Katsuhiko Naito, this is one fine-sounding album. Hypolite’s voice stands out, front and center; a real person singing, not just some disembodied voice. And it’s easy to hear the differences between Lane’s and Hypolite’s guitars. The Hammond B-3 organ throbs behind the two front men, as do the drums. About the only two weaknesses I can find, and I’m really picking nits here, is that the bass could be fuller, and the sound seems a tad rolled off on top. But, as I said, I’m reaching to find these faults (if faults they are) only because this is otherwise such a superb recording, both sonically and musically.